While automatic doors can be very useful — especially on a cruise ship where maybe you don’t want to go around touching too many door handles — they’re not only useless when they don’t work right, but they can hurt: a federal jury has ordered cruise line Holland America to fork over $21.5 million in damages to an Illinois man who suffered a minor brain injury when he was struck in the head by a ship’s sliding-glass door. The U.S. District Court jury in Seattle handed down one of the largest verdicts in recent memory, notes the Seattle Times, including $16.5 million in punitive damages against the cruise line as part of that hefty award. The plaintiff’s attorneys produced evidence at trial that dozens of other passengers had suffered from a run-in with sliding doors across the Holland America fleet due to faulty sensor settings, the Times reports: the lawyer said the company “suppressed” documentation for up to 34 other sliding-door incidents throughout its fleet going back three years. In this case, surveillance video shows the man and his wife leaving the M/S Amsterdam’s penthouse to walk to a pool and following crew members through a pair of sliding-glass doors. Suddenly, the doors shut, hitting the plaintiff in the face and the side of the head. 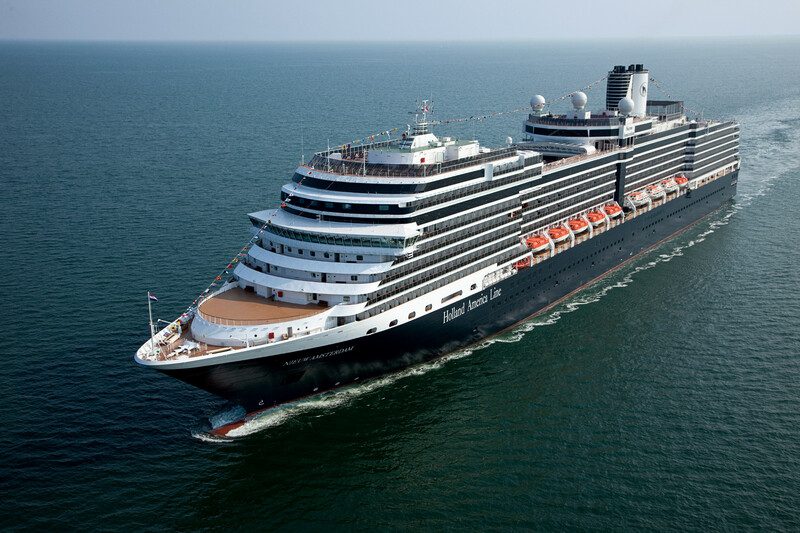 Holland America claimed he walked into the closing doors. The eight-person jury disagreed, unanimously: the passenger was awarded $5 million for past and future pain, suffering and emotional distress, as well as the punitive damages. His attorney says he suffers memory loss, vertigo and seizures as a result of the injury. The cruise line has filed documents asking the court to reduce the judgment, calling it “excessive,” and will appeal the verdict.